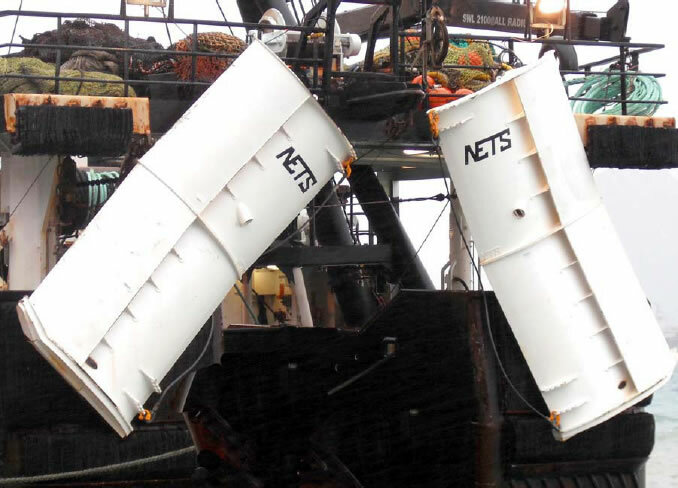 Gull Wing trawl doors are high aspect, double foil, cambered doors introduced by NET Systems in September 2010. They may be rigged to fish on bottom, semi-pelagic, or midwater. With a shoe weight and balanced center of gravity, the Gull Wing door is very stable in all phases of fishing while providing excellent spread. Doors remain stable during turns. Able to fish in extreme shallow water with excellent performance. Doors remain stable at slow towing speeds which can reduce unwanted catch. Less fuel required over conventional doors for maximum spread. Alloy steel construction with reinforcement plates at all high stress areas for optimum balance and ex¬tended life.